This post is my response to learning that in their continuing apostasy the ROCOR-MP is now offering a Requiem Service for Non-orthodox served by a priest. How the Orthodox Church prays for its faithful children who have died is set forth above (Chapter Ten). But what of those who have died outside the Church? In general, the Church follows the principle well expressed by Metropolitan Philaret of Moscow: "The non-Orthodox by the very fact of their non-Orthodoxy have cut themselves off from communion of the Mysteries of the Orthodox Church. To this there corresponds the absence of their commemoration at the Mystery of the Eucharist." Thus, at the Divine Liturgy the Church does not make particular commemoration of the non-Orthodox, and especially of the dead who can no longer be joined to the Church. How, then, can an Orthodox Christian express the impulse of his Christian heart to pray for relatives and friends who have died outside the Church? The answer of the Church to this question is both strict and compassionate, as may be seen in the following article, the last part of a longer article setting forth the reasons why the Church does not pray for the non-Orthodox at the Liturgy, by one of the great Orthodox hierarchs of our own century, one of the founding fathers of the Catacomb Church of Russia in the 1920's. He was a hieromonk when this article was written; it is here translated from the Russian periodical Soul-Profiting Reading, 1901. MAY ORTHODOX CHRISTIANS, AND HOW MAY THEY, PRAY FOR NON-ORTHODOX CHRISTIANS? Speaking of the strictness of our Orthodox Church with regard to the commemoration of wrongly-believing Christians, we do not wish to say that our Holy Church commands us, her children not to pray for them at all in any way. She only forbids us arbitrary prayer – that is, to pray however we wish or think. Our Mother, the Orthodox Church, instructs us that among us everything, and also prayer itself, should be done decently and in order (I Cor. 14:40). And so we pray at all our church services, usually without knowing or understanding it ourselves, for all peoples of various nationalities and for the whole world. 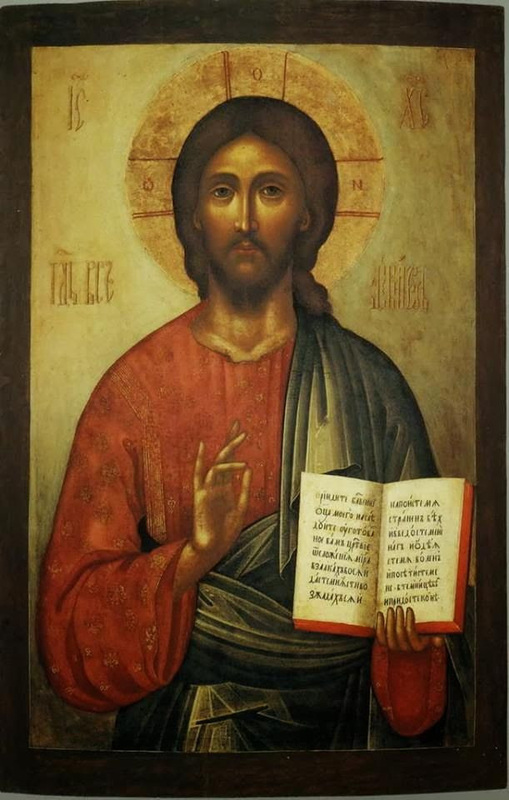 We pray precisely in the way our Lord Jesus Christ instructed His Apostles to pray in the prayer given to them: Thy will be done on earth as it is in heaven! This all-embracing petition includes in itself all the needs of ourselves and those of one blood with us, even though they be our wrongly-believing brothers. Here we entreat the All-good Lord also for the souls of departed non-Orthodox Christians, that He might do with them what is pleasing to His holy will. For the Lord knows immeasurably better than we to whom and how to show mercy. And so, Orthodox Christians! Whoever you might be, layman or priest of God, if during any church service there should come to you a fervent impulse to pray for some "Carl" or "Edward" close to you, then, when the Lord's Prayer is read or sung, sigh for him to the Lord and say: May thy holy will be done in him, O Lord! And limit yourself to this prayer. For thus you have been taught to pray by the Lord Himself. And believe that this prayer of your will be a thousand times more pleasing to the Lord and profitable to your soul than all your arbitrary church commemorations. From this account of the blessed Father, first of all we see that his prayer for the pagans suffering (in hell) was not the public prayer of the Church, but private prayer. It was the prayer of a solitary desert-dweller praying in the secret closet of his heart . . . Then, this prayer can serve in part for us Orthodox Christians also as an inducement to pray for the non-Orthodox, living and dead, in our private prayer at home; but it is only an inducement, and not at all a model – for the Saint did not tell us how he prayed for the pagans and did not teach us how to do this . . . In one respect only it can serve for us as an example: in that St. Macarius prayed for the pagans not with an arbitrary prayer, but in the way the Spirit of God Who dwelt in His pure heart instructed him. This Spirit not only instructed, but compelled him to pray for the whole world – for all men, living and dead, as is usual and characteristic for the loving hearts of all pleasers of God, as also the holy Apostle Paul wrote to the Corinthians: Our heart is enlarged; ye are not restricted by us (11 Cor. 6:11). Thus, we can now agree that Orthodox Christians may pray for non-Orthodox Christians, living and dead, in private prayer at home; but – let us remind again and again – not with arbitrary prayer, not as we think and desire (so as not to draw upon ourselves the wrath instead of the good-will of God), but according to the instruction of people experienced in spiritual life. There was an incident in the life of the Optina Elder Leonid (Leo in schema) who died in 1841. The father of one of his disciples, Paul Tambovtsev, died an unfortunate, violent death – by suicide. The loving son was deeply grieved by the news of this, and so he poured out his sorrow before the Elder: "The unfortunate death of my father is for me a heavy cross. Yes, I am now on the cross, and these pains will go with me to the grave. I imagine eternity, terrible for sinners, in which there is no more repentance, and I am tormented by the prospect of the eternal torments which await my father, who died without repentance. Tell me, Father, how can I console myself in my present grief?" The Elder replied: "Entrust both yourself and the fate of your father to the will of the Lord, which is most wise and almighty. Do not pry into the wonders of the Most High. Strive by humility of wisdom to strengthen yourself within the bounds of moderate sorrow. Pray to the All-good Creator, fulfilling thereby the duty of love and the obligation of a son." To the question: "In what way should we pray for such ones?" the answer was: "In the spirit of virtuous and wise men, pray thus: Seek out, O Lord, the lost soul of my father, if it be possible, have mercy! Unsearchable are Thy decrees. Do not account this my prayer as a sin; but may Thy holy will be done! Pray simply, without testing, giving your heart over into the right hand of the Most High. Of course it was not God's will that your father should have such a grievous death; but now he is entirely in the will of Him Who can cast both soul and body into the fiery furnace, and Who both humbles and exalts, gives over to death and brings to life, sends down to hell and raises up. And at the same time He is so merciful, almighty, and filled with love that the good qualities of all those born of earth are nothing before His Most High Goodness. Therefore you should not grieve excessively. You will say: 'I love my father, and therefore I grieve inconsolably.' This is just. But God loved and loves him incomparably more than you do. And so it remains for you to leave the eternal fate or your father to the goodness and mercy of God, Who if He wills has mercy, but who can withstand Him?" And so, this private prayer to be said at home or in the cell, given by Elder Leonid, experienced in spiritual life, to his disciple, can serve for an Orthodox Christian as an example or model of prayer for any non-Orthodox Christian close to one. For example, one may pray in this way: Have mercy, O Lord, if it be possible, on the soul of Thy slave (name) who has departed into eternal life in separation from Thy Holy Orthodox Church! Unsearchable are Thy decrees. Do not account this my prayer as a sin, but may Thy holy will be done! * In the "Alphabetical Collection" of saying of the Desert Fathers, under "Macarius the Great," we read: Abba Macarius said, 'Walking in the desert one day, I found the skull of a dead man, lying on the ground. As I was moving it with my stick, the skull spoke to me. I said to it, "Who are you?" The skull replied, "I was high priest of the idols and of the pagans who dwelt in this place; but you are Macarius, the Spirit-bearer. Whenever you take pity on those who are in torments, and pray for them, they feel a little respite." The skull further instructed St. Macarius concerning the torments of hell, concluding: "We have received a little mercy since we did not know God, but those who know God and denied Him are down below us." On August 20/September 2, 1932, the Synod of Bishops reached a decision on the question concerning burial services for the heterodox, and, since it is insufficiently well known that it is forbidden to serve burial services for the heterodox or to have panikhidas sung for them, it has been decided to publish the following explanatory proclamation encyclically, by means of a declaration Addressed to the eminent hierarchs, clergy and all the children of the Russian Church Abroad. Preserving the purity of her Orthodox teaching and the entire divinely established order of her life, the Church from time immemorial has forbidden her bishops, clergy and laymen alike from entering into communion in prayer, whether in church or at home, with all heretics, renegades (schismatics) and those that have been excommunicated from Church society (Apostolic Canons X, XI, XLV; Synod of Laodicaea, Canon XXXIII ). The strictness with which the Church protects her children from the danger of infection by any heresy has extended even to prohibiting priests to pray or to perform any sacramental action in the mere presence of heretics, with the exception only of those cases when the latter "promise to repent and abandon their heresy" (St. Timothy of Alexandria, Canon IX ). At the basis of these canonical decrees lies the eternal word of Christ: "But if he (thy brother) neglect to hear the Church, let him be unto thee as an heathen man and a publican" (Matt. 18:17). Being outside the Church during their lifetime, heretics and schismatics stand yet further apart from her after death, for then the very possibility of repentance and of turning to the light of Truth is closed to them. It is quite natural, therefore, that the Church cannot offer up for them the propitiatory Bloodless Sacrifice or, in general, any purifying prayer at all. The latter is clearly forbidden by the Words of the Apostle (cf. I Jn. 5:16). Following the ordinances of the Apostles and the fathers, the Church prays only for the repose of Orthodox Christians that have died in faith and repentance, as living, organic members of the Body of Christ. There may also be included those that had fallen away, but later repented and united themselves to the Church once more (St. Peter the Martyr, Canon III ). Without this final condition, they remain alien to the Church and, as members that have fallen away from her, are deprived of the latter's nourishing sap, i.e. the grace-bearing mysteries and prayers of the Church. Faithful to the Whole spirit of the ancient, universal Church, our Russian Orthodox Church customarily forbade not only burial services, according to the Orthodox ritual, for the heterodox (i.e. Roman Catholics, Protestants, Armenians, etc. ), but even the serving of panikhidas for them. Out of a sense of Christian mercy, she began to tolerate a single condescension in regard to them: if a heterodox person of another "Christian confession" dies and there is no priest or pastor of his confession to perform the funeral, the Church permits the Orthodox priest, vested in epitrachilion and phelonion, to accompany the body of the departed from its place to the cemetery, and to lower it into the grave as the hymn "Holy God . . ." is sung. The decrees of the Holy Synod which gave legal force to this rule (the first of which is dated July 26, 1727), permit neither the carrying of the body of the deceased into an Orthodox Church, nor the singing of a requiem litia, or even of "Eternal memory" for him (cf. the decrees of the Holy Synod dated May 22, 1730, August 24, 1797, and February 20, 1880). Regrettably, our ecclesiastical practice has not been consistent and uniform in the given case. Under the influence of the liberal trends of public opinion, and sometimes to placate the civil authorities, the Synod began to permit at times the serving of panikhidas for Roman Catholics and Protestants, to the great scandal of the people of the Church whose conscience could not be reconciled with so clearcut a departure from the ancient tradition of the Fathers. This grievous practice, which took root gradually over a period of time, was later carried abroad by Russian refugees and began to be Widely disseminated, especially in the Western European parishes which acknowledged Metropolitan Evlogy as their head. It being his custom, in general, to follow after his flock rather than to lead it, the latter himself widely encouraged this anticanonical practice. It is known that, on his orders, panikhidas were served in all the churches that acknowledged him for Doumer, President of the French Republic, who had been assassinated by Gorgulov. It should be asked why a public display of prayer for a non-Orthodox person was necessary. The Catholics could not attach to it its true meaning, for to them it was merely the prayer of "schismatics"; and it could not have been the sincere desire of the Russian Orthodox people to, pray for a man with whom they had not the least ecclesiastical tie. Is it not clear that this was simply a manifestation of Russian feeling in regard to the honored president who had perished at the hands of a Russian criminal? But were there no other means of expressing sympathy for France and of censuring the guilty Gorgulov besides the Church's services for the dead? Does it not lower the dignity of the Church in the eyes of the heterodox themselves when she is made the instrument of purely political aims? With the aim of subverting the Russian refugees, the Catholics do not cease repeating to them there is no essential difference between the teachings of the Orthodox and Roman Catholic Churches, and that the division which exists between them is based substantially on misunderstanding. The serving of solemn panikhidas for Catholics can only heighten the confusion in the minds of the Russian Orthodox people, strengthening them in the erroneous belief which Roman propaganda strives to foster in them. Even less can they justify having a panikhida served for deceased Protestants, for Lutherans do not ascribe any power at all to the Church's prayerful intercession for the dead. The breadth of Orthodox Christian love—in the name of which ostensibly, the Church's prayers should be permitted for departed Christians, regardless of which confession they belonged to—cannot be extended to include a disregard for the Orthodox teaching of the faith, the deposit of which our Church has preserved within herself throughout the course of centuries, for then every boundary separating the One, True Church of salvation from those that were torn from grace-bearing union with her would be blotted out. The limits of condescension permitted by reason of ecclesiastical economia in regard to those that have fallen away are precisely defined in the holy canons, and no one has the right to extend the boundaries fixed by the holy and divinely-wise Fathers. In order to put an end to the scandal which has arisen in the Church over the ecclesiastical commemoration of the heterodox and over the serving of panikhidas for them in particular, the Synod of Bishops of the Russian Orthodox Church Abroad has considered it necessary once more to remind both the pastors and the Russian Orthodox flock abroad of the intolerability of any departure from the ancient canonical order apart from those provided for in the above-mentioned decrees of the Holy Synod. The flock must not exert pressure of any kind on the conscience of priestly celebrants who are obliged to maintain faithfulness to the ancient, canonical order and to hold high the standard of Holy Orthodoxy before the face of both the other Eastern Churches and all the heterodox as well. In the event of the threat of serious conflicts with his parishioners on this issue, the priest must forthwith refer the matter for decision to his diocesan bishop, whose duty it is to show him authoritative support in the battle for the preservation of the ancient, patristic statutes of the Church. 1. Rudder, pp. 22-23; 67; 566. N.B. : The canons of the Synod of Laodicaea received ecumenical authority through the Sixth Ecumenical Council's Canon II (cf. Rudder, pp. 294-296). 2. Rudder, pp. 894-895. N.B. : The canons of St. Timothy received ecumenical authority through Canon II of the Sixth Ecumenical Council. St. Timothy was Patriarch of Alexandria in the fourth century and was one of the bishops that participated in the Second Ecumenical Council, which was convoked in Constantinople in 381 to condemn the heresies of Macedonius and others. St. Timothy reposed in 389. 3. Rudder, pp. 741-742. St. Peter the Martyr was Patriarch of Alexandria and was martyred during the persecution of Diocletian about the year 305.His canons received ecumenical authority through Canon II of the Sixth Ecumenical Council. 4. For a thorough discussion of the part played by Metropolitan Evlogy in the ecclesiastical situation of the Russian Church of the diaspora, see The Truth about the Russian Church Abroad, M. Rodzianko (Jordanville: St. Job of Pochaev Press, 1975), and History of the Russian Church Abroad: 1917-1971, prepared by Holy Transfiguration Monastery (Seattle: St. Nectarios Press, 1972). From Orthodox Life, Vol. 78, No. 1, pp. 28-31. "IN YOUR LAST SHEPHERD, vol XVII, no 11, I read with interest Nun Pelagia 's article on St Varus. She wrote that 'there is no Orthodox service the priest can serve on behalf of [those] departed this life outside the Church' ... are we to understand to understand this refers to atheists / non-believers, rather than non-Orthodox Christians, for whom there is a service in theTrebnik [The Book of Needs—Ed.] for their Repose. Please could you clarify this?—A.M., Kwa Zulu, Natal. MOTHER PELAGIA was correct. There is in fact no service for the repose of any non-Orthodox, whether Christian or not, in the Book of Needs, but I suspect that in saying the opposite you are referring to one of the versions of the Book of Needs, published some years ago by the Saint Tikhon's Seminary Press in South Canaan, Pennsylvania. We have found this to be an invaluable little book, although the standard of English is poor and the translations are oftentimes deplorable. This book has an "Office for the Repose of Non-Orthodox" but if you notice in the index it is prefaced by a sign which indicates that it is one of the "additional Services, Prayers and Blessings taken from various sources." It does not indicate the source of this service, and it seems to be an abridged form of the funeral service, although the Apostle and Gospel readings are different. One would have more confidence if the source of this service were given. A more authoritative source, S.V. Bulgakov's "Nastolnaya Kniga" allows only that, should a non-Orthodox Christian die in circumstances where there was no minister of his own confession but only an Orthodox priest (a circumstance not likely to occur in the West! ), the priest may accompany the body to the grave with the chanting of the Trisagion. He also quotes a comment on the subject by the renowned Metropolitan Philaret of Moscow, who said of a certain Lutheran that it was permissible to serve a moleben for him when he was yet alive, asking God's grace that he might join the One Church, but after death it was a different matter. To the argument that such a service would give comfort to the bereaved, he replied that to do something irregular for the comfort of one, when it would not be without temptation for the many, would not be something blessed. I think that, particularly in these days, when so many things are published which are not expressions of "the pious mind of the Church," one has to be extremely careful, just because something is in print, even if it appears to be in a Service Book of the Church does not rnean that it expresses the teaching of the Church.